At 9.30pm on Tuesday 22 August 1961 Michael John Gregsten, a 34-year-old, married father of two and a civil servant at the Langley Road Research Laboratory in Slough was canoodling in his grey 1956 Morris Minor in a cornfield off Marsh Lane in Dorney Reach, Buckinghamshire with his 22-year-old colleague and lover Valerie Storie when a man approached with a gun. He told Gregsten to drive and, 48 km (30 mi) later, they stopped in a layby on the A6 in Bedfordshire known as Deadman’s Hill. At 3am the man shot Gregsten and then raped Storie before shooting her five times and driving away in the stolen car, dumping it in Avondale Crescent, Ilford, Essex where it was found at 6.30am. Storie survived her appalling injuries to describe her assailant and an identikit was issued. Two cartridge cases belonging to the gun were found in a room in the Vienna Hotel in Maida Vale, London. The occupant the night before the murder was 24-year-old petty crook James Hanratty, a man with four previous convictions, although none for violence or sexual assault. A man called Peter Alphon, another criminal, used the room the night after the crime. The gun was found under the back seat of a 36A London bus. 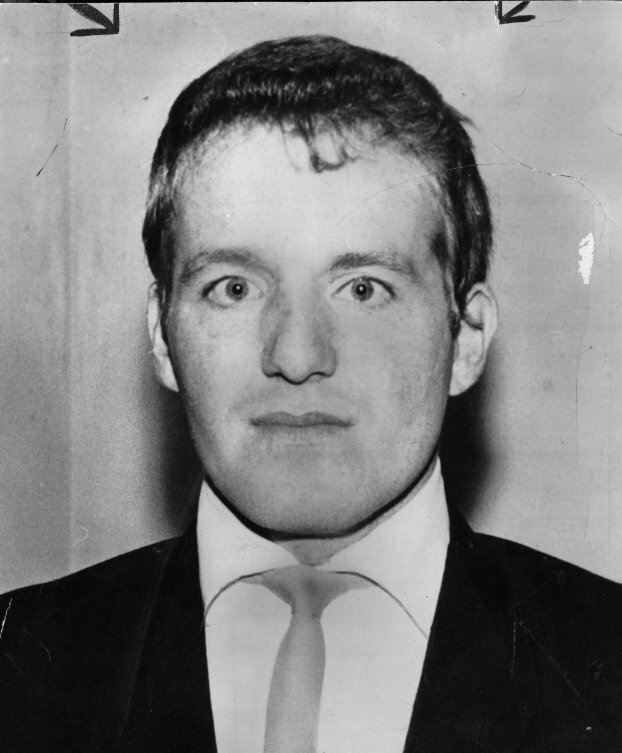 On 9 October 1961 Hanratty was arrested in Blackpool and identified as the A6 killer. At first, Hanratty claimed he had been in Liverpool then changed his story and said that he had been in Rhyl. Changing his alibi probably cost him his life. At 9.10pm on 17 February 1962, after what was then the longest murder trial of an individual in British criminal history, Hanratty was convicted. He was hanged at Bedford Prison at 8am on 4 April 1962. There was little confidence in the soundness of Hanratty’s conviction and a public campaign to clear his name began involving, among others the pop star John Lennon, his wife Yoko Ono and campaigning journalist Paul Foot. On 12 May 1967 Peter Alphon confessed to the crime saying he had been paid to end the relationship between Gregsten and Stone.